Rates continue to meander between 4.5 and 4.75 percent when it comes to the 30-year mortgage rate bellwether average. Much of the minimal movement has been due to a waiting period generally anticipating new comments from the Federal Reserve, particularly if there will be any further detail regarding tapering of purchasing of mortgage-backed securities by 2014. As a result, rate watchers have been on a roller coaster from a high of 4.75 days ago to as low as 4.35 percent and now back up to 4.65 percent as of this week. Granted that this is an average trend, specific lenders themselves are operating in an even wider range. However, it’s fairly clear that those looking for lower rates will definitely have to pay points to get cheaper interest costs on a new loan right now. The Federal Open Market Committee was expected to put out big comments in meeting minutes yesterday regarding the next quarter. These minutes reflect the FOMC meeting that occurred back on June 18 and 19, so they won’t carry anything big that’s not already known. However, they do carry a lot of detail on the thinking behind the big policies moves, which potentially signal future directions of the Federal Reserve down the road. Unfortunately, every time the Feds have put out comments recently in any format, it triggers an immediate, doomsday reaction from traders and market positions. Much of it tends to be overreaction. So while the minutes released yesterday ultimately did not shed anything new or hawkish, some were bracing for yet another emotional reaction and a potential spike in rates again. What was noticeable was that half of the FOMC committee was clearly in favor of Federal purchase tapering happening soon, but more economic data was needed first for analysis. As of today, rates closed in the range of 4.55 to 4.65 percent for 30-year fixed loans, and 3.75 percent for 15-year fixed mortgages. 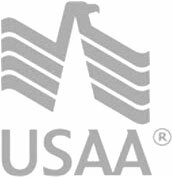 The FHA/Veteran’s Administration loan rate is at 4.4 percent, which has significantly closed the gap versus the market, making it far less competitive or interesting for eligible borrowers. Finally, the 5-year adjustable rate mortgage average is in the range of 3.2 percent.